The Workshop fee is 28 000 Russian rubles (~ € 400). For the early payment (till June 15, 2018) the fee is reduced to 24 000 Russian rubles (~ € 340). The Workshop fee covers the participation at all the scientific sessions, the Workshop kit, coffee breaks, welcome drink, concert, excursion, and the Workshop dinner as well as a copy of the proceedings. Fee for the accompanying persons is 10 000 Russian rubles (~ € 150). It covers concert, excursion, and the Workshop dinner. Fee waiving and support for travel and/or accommodation will be provided for a very limited number of young attendees from developing countries. The request must be e-mailed to the Organizing Committee not later than March 31, 2018, specifying which kind of support is needed. The decision on those benefiting from the financial support will be made by the International Scientific Advisory Committee by May 1, 2018. Priority will be given to speakers and poster presenters. The support by the Russian Academy of Sciences allows Organizing Committee to reduce the fee for employees of Russian institutes and universities to 10 000 Russian rubles. 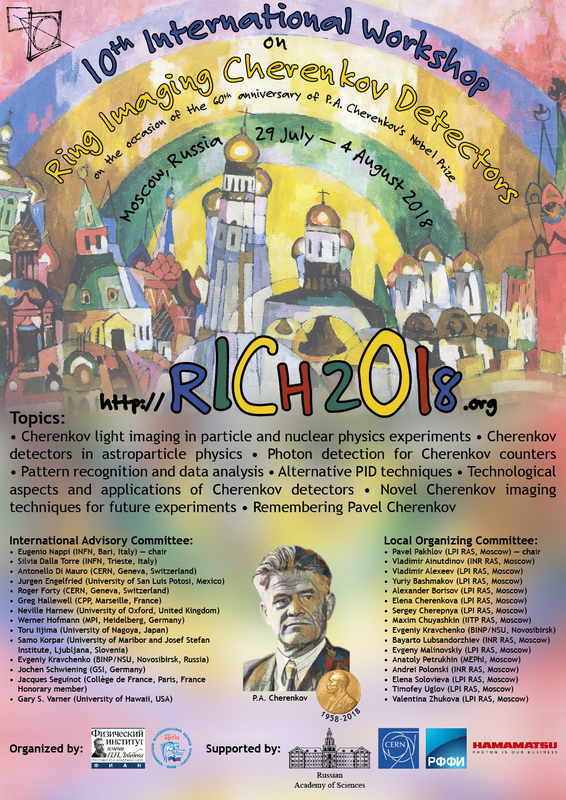 Students of Russian universities can attend the scientific sessions without paying the registration fee. The payment is to be done via credit card or bank transfer in advance. As an exception payment in cash (Russian rubles only) could be accepted at the first day of the Workshop. In such a case the Organizing Committee must be notified in advance.